One PA owner until last year. Anyone familiar with the car or the original owner ? Title mileages are not audited or checked. At best, they actually reflect the odometer. My 1961 F-350 shows 51,000 miles on it's title/registration. I have the truck's log book from 1977, showing 78,000 miles by that date. Sometime between 1977 and 2001, someone swapped out the original speedometer/odometer. This replacement odometer -- it was a used unit from a 1962 truck -- currently shows 45,000 miles. How many miles on my F-350? 51,000? I think not. No one knows. No one will ever know! That said, this tii could be very low miles. I just have serious misgivings about mileage claims based on titles -- in the absence of substantial other documentary evidence -- and especially on cars with 5-digit odometers, not to mention the '02's propensity for failures of its speedometer cable and head unit. The lack of underhood insulation pads suggests to me that at least the underside of the hood may have also been re-painted -- I can't opine on any other areas with those "long-distance" photos. Or, someone painstakingly removed every last drop of old glue without leaving a mark. The underside has been undercoated. Not great, but not uncommon for a Rust Belt car. All in all, one of the nicest I've seen. Of course, I haven't seen the underside and the undercoat won't make its examination any easier. Pretty slim documentation for a car that would appear to have been fanatically maintained for 43 years. Look at it. Then buy it! It does not get much better than this. Roundie, Inka, low mileage original Tii. Wow. There are some signs of wear under the hood - closer inspection is certainly warranted. It will be very interesting to see where the reserve is at - not many comps out there for a car like this. The absence of underhood insulation (w/the exposed paint looking like nothing was ever glued to it), awfully spotless engine bay paint and like-new decals, what looks like a repainted spare, perhaps fresh headliner and elephant skin on the trunk floorboards hint at some cosmetics being spoken to over the yrs. Regardless, as Eiremon says, it doesn't get much more desirable than this! Inka was SO hot for so long, and still has its devotees/die-hard fans. Wonder what it'll make? 40-50K??? Can anyone comment on those wheels and steering wheel - truly a BMW dealer option or aftermarket? If the documentation checks out, this 02tii would be quite a nice car to own and drive. Originality only happens once and even if areas of the car (hood, engine bay, etc) were repainted, it looks to have been done to a high standard. No obvious overspray, clean washer nozzles, etc. Lack of snorkel hole would speak to the originality of the front end but panel seams would tell the rest of that story. I have a mirror image of this car save for the fact that mine lacks most documentation and was recently completely refreshed with almost all new components & paint. Will be watching this one closely. "Dealer installed" implies less than "dealer option". 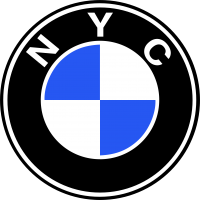 Some BMW dealers were also dealers in aftermarket equipment, such as BWA rims or Becker radios. Other than the missing VIN tag on the steering wheel column cover, it appears the small 9 pin electrical connector (I forget what it was originally designed to do) under the hood, at left of the air intake and directly in front of the cowl on driver's side, has been over-sprayed in Inka orange. Or else it has an orange cover on it???. On my 73 tii it is definitely not painted, nor does it have a cover. Then again, maybe it is supposed to have a cover? Not sure. The front windscreen & rear window seals look new, maybe with a black (Turbo) filler strip rather than the shiny one. This, along with the pristine hood underside and the poorly fitted grip edge over the passenger rear side window, might suggest a complete respray. I predict it won't reach reserve, and then we will see it on BAT ultimately sell for an absurd and irrational amount of money. The diagnostic plugs originally had (Inka-ish) orange caps. A '72 or '73 had two diagnostic plugs: one on the left inner fender near the firewall, the other on the valve cover. Most of the valve cover plugs are long gone by now. Both, however, are present on the subject car. Probably manufactured April or May 1973. I'm convinced you're right, Les. The more one looks, the more anomalies one sees, e.g., not a single stone chip on the nose, the tonality of the Inka on the underside of the trunk lid, which appears to carry down both decklid support braces to the rear wheel housings, and then suddenly turns into a more mellow (aged?) version of Inka in the trunk. What tipped me to the respray was the VIN number stamped into the fender. The edges of the 'tape' marks look way too perfectly square to me. Plus, the paint edges are kinda rough. That missing VIN plate on the steering wheel column gets me nervous.